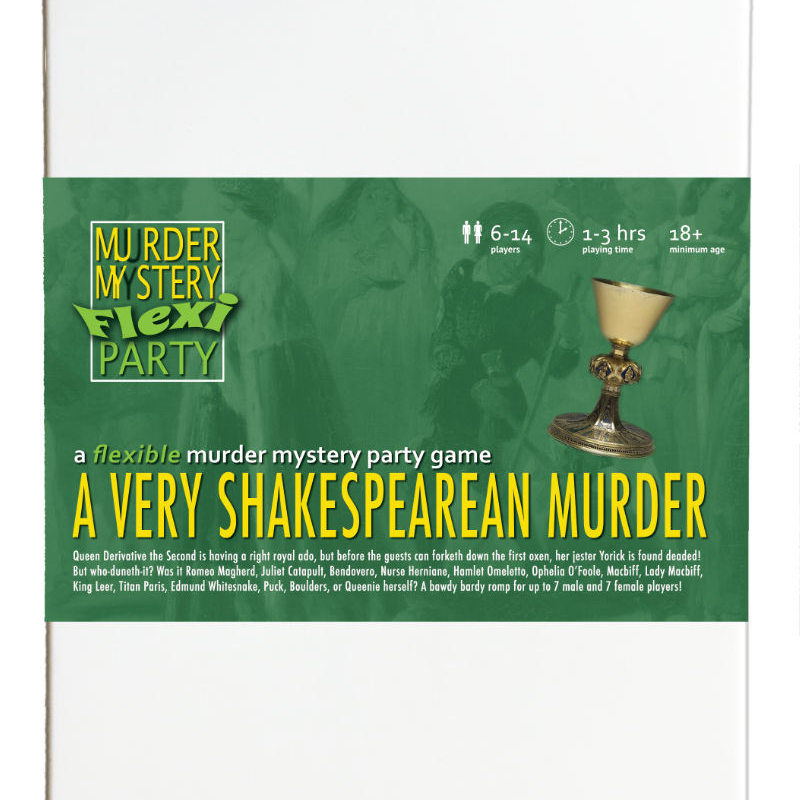 A Very Shakespearean Murder [Download] - �.99 delivered. What scream through yonder window breaks? Queen Derivative the Second is having a right royal ado at her Elizabethan court, but before the guests can forketh down the first oxen, her jester Yorick is found dead-ed - stabbed in his chambers! But who-duneth-it? A bawdy bardy romp for up to 7 male and 7 female players! GUIDANCE : Mature themes, frequent (and poetic) innuendo. 12 of us played this marvellous game last night. It kept everyone entertained all evening, riotous fun and plenty of overacting! Some of our guests even managed to guess correctly!